If you are French tax resident, you will also be considered “domiciled” in France for inheritance purposes and your worldwide estate will be subject to French inheritance rules and taxes. Britain may also have the right to tax certain assets, UK property for instance, and may even try and claim your “domicile”. In the case of a dispute, it is the Double Tax Treaty on inheritance tax, which decides which country “wins”. The criteria are basically the same as for residence. 75%, shared equally, if you have three or more. The amount legally allocated to your children is called the “Réserve Héréditaire”. The remaining portion of your estate is freely disposable by will (“Testament”) and is called the “quotité disponible”. Therefore, if you have children, a will leaving everything to the surviving spouse and then to the children will not be upheld in France, since the children must inherit their minimum share. This means that the protection of the surviving spouse is therefore one of the main preoccupations of the British community in France. Various solutions are available. However, how effective or, indeed, advisable, any particular solution may be will depend upon your personal situation and it is essential to seek qualified advice before doing anything. 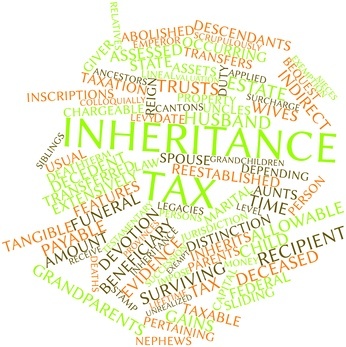 French inheritance tax is a completely different system to the UK, since it is the beneficiary who pays the tax rather than the estate and tax rates and allowances vary according to the deceased’s relationship to the heir. There is no inheritance tax payable between spouses or couples with a “Pacte Civile de Solidarité” (PACS). Children are entitled to a tax free allowance of €100,000 from a parent and there are large tax bands at both 20% and 30%. Therefore, for children, French inheritance tax is perfectly reasonable and for a large estate, where assets are left to children, normally the inheritance tax bill is considerably lower than in the UK. Also, France offers more opportunities for reducing tax. The problem is for those who want to leave assets to other family members or friends. For example, nephews and nieces pay 55% tax, after allowances of only €7,967 each and unrelated persons pay 60% tax after an allowance of only €1,594. If you want to leave assets to your partner (without a PACS), to stepchildren or to friends, the French taxman could end up with more than half of your assets, so it is imperative to find another solution. New EU rules on inheritance have recently been adopted and will come into force in August 2015. These new regulations will give expatriates the right to opt for the succession law of their country of nationality to apply on their death. Without an appropriate will, the French succession rules above would continue to be applied to a French resident’s estate. However, with a correctly drawn up will, it should become possible, from 2015, to opt to use the law of the country of your nationality. For British nationals, this should mean that you can opt to use British rules (ie English Law, Scots Law or Northern Ireland Law, depending upon your personal links to the UK) enabling you to leave your assets as you wish via an appropriate will. This should, therefore, allow you to bypass the strict French succession rules, whereby ‘protected heirs’ must normally inherit ahead of a surviving spouse. It is vitally important to understand that whilst the new rules will make it possible to choose UK law for the distribution of your estate, it will not apply to tax issues. This, therefore, could mean that using these new rules could actually be counterproductive and the new legislation is unlikely to be a panacea for all your inheritance issues. 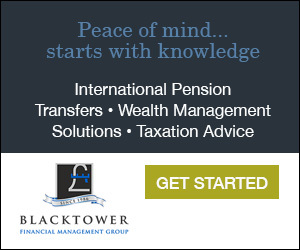 Since it is perfectly possible to take sufficient action under French law, which will obviously be immediately applicable and since inheritance tax planning for your children can be easier under French law than British law, we still recommend that French solutions should be used where appropriate.